Have you ever wondered how much your jewelry or flatware is worth? Don’t have someone to trust to accurately value your precious metal items and would like to Do-It-Yourself at home but don’t know how? Below you will find updated gold, silver, and other precious metal testing methods. 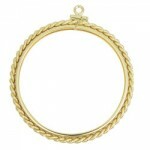 We have tried to be complete as possible for most common types of jewelry and precious metals that people own. You will find instructions on testing gold of all karat values from 10 to 24 karats, silver, platinum, palladium, and gold filled jewelry. Learn how you can quickly and easily value your products or possessions: don’t be fooled by the gold buyer at the counter, you need to know the real value BEFORE you decided to buy or sell! In the following instructions we will give you the basic knowledge to begin to practice using acid testing kits to value your metals. With some patience and more practice, you will find yourself becoming an expert metals tester. When your begin, remember not ONLY to rely on your testing equipment, you must use your eyes to observe the distinct colors, features, trademarks, and other things that can distinguish real value and precious metal content from surface plating or fake jewelry. With experience many people are able to spot the signs on an item that will alert you to the need for careful or repeated testing before assigning a value. Many of the most effective methods for testing gold and other metals involves using acid. When you are testing with acids of any kind there are a couple things that you should always keep in mind. These acids are highly toxic and corrosive to your skin and body, so it is important to use extreme care when working with them. It’s a good idea to be sure to wear gloves and safety glasses each time you work with acids to avoid taking any unnecessary risks. In case your skin does come into contact with any of these acids, be sure to flush the area with large amounts of water and then treat affected area with sodium bicarbonate or baking soda. If the acid is swallowed, contact a physician or hospital at once. In case of acid spills, treat the area with water and then sodium bicarbonate or baking soda to counteract the acid’s properties. There are many methods for testing gold and we will cover some of the most common and easiest ways for you to test gold on your own. Learn how to become confident in identifying the gold content in your jewelry and other precious items. Many of the tests we discuss will use testing acid and observing the reaction of the acid to the metal which can reveal the presence of other materials. When testing with acid, know that if you observe green colored bubbling in the acid, you may have an item that has little or no gold content. We’ll cover methods of non-destructive testing from using magnets to scratching the piece being tested against a testing stone or testing by magnetism. Although the piece may need some polishing or cleaning afterwards, non-destructive testing does not penetrate deeply into the metal or permanently change the piece. We’ll also talk about some destructive tests where you are using a jewelers file or cutter to reach deeper into the metal and test below the outer plating. 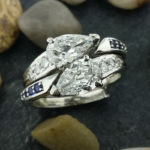 If you are trying to maintain original condition, this may require a jeweler to make repairs afterward and may diminish the value of some items. Most often, you will find that using a magnet to test your metals will be a good starting place to save you time, but that you will probably have to do some follow up testing as well. You can use rare earth magnets or other powerful magnets to help you identify if something is made of or filled with base metals but it won’t tell you about the specific gold content. If an item is attracted to a magnet it most likely contains little to no precious metals and is mostly nickel, iron, or a combination of pot metals. You will find that most gold plated, gold filled, and costume jewelry will act like true gold and not be attracted to the magnet. You will always want to confirm the precious metal content of any jewelry you intend to buy to be sure of the true gold content, and we have a selection of options for you below. 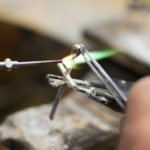 Most jewelry clasps like lobster claws and spring rings that close necklaces, chains, bracelets and more will contain a metal leaf spring inside to function properly. Because of this, a gold clasp may be slightly attracted to a magnet, check the quality stamp, judge by the behavior of the rest of the piece and go to further testing if you encounter this situation. Any jewelry that has a heavy rhodium plating to give it that bright silver color, frequently seen on bracelets or charms, will show some magnetic attraction to a strong magnet. For items with a heavy rhodium plate you will need to properly check for precious metal content and must get though the plating to test the metal underneath. This may result in needing to do a destructive metal test and cut deep into the item. Remember: Any items that are slightly attracted to your magnet will always require more inspection and testing before agreeing to purchase them. As another option, if you don’t feel comfortable using acid to test metals, you can purchase and use any number of electronic gold testers. Gold testers commonly that test for gold and sometimes other metals too, in many different ways, most of which are non-destructive. If this seems like the right option for you, you can find the perfect gold tester for your needs by checking out our wide selection of gold testers. Before getting into the ways to test specific kinds of gold be it different gold karat weights or gold filled items, there are a couple other general gold tests that you can do if you are starting with no idea what the metal type might be. In this test, you will use a testing stone to test the surface gold content of an item. This test will give you a loose idea of whether or not the item you are testing is actually gold, but it will not tell you the exact karat content of the metal. Always be sure to wash the testing stone thoroughly with water after each use. To learn How To do a Basic Gold Streak Test, you can check out this link. This is very similar to the Basic Needle Test that was mentioned above, the major difference is that instead of using a gold testing needle for comparison, you will use a standard item, or one that you already know the gold content of. Simply follow the steps above, replacing the gold test needle scratch mark with that of your standard item next to the unknown item’s scratch mark. You should use the acid that matches the gold content of your standard item and as before, the scratch the fades first has the lower gold karat count. To learn How To do a Basic Comparison Gold Test, check out this link and simply replace the use of a gold testing needle with your piece of known gold. Note: If you intend to test like this frequently, you may want to keep an old 10 or 14 karat ring on hand as your known comparison metal. You will find this testing method to be most useful when you already suspect you know what the karat value of the unknown piece of gold is, either because it was stamped a certain karat weight or you think it might be a particular karat weight form a previous comparison test. By testing the unknown metal compared with known metal reactions, you can narrow down by guessing and checking what the actual karat value of the gold will be. The gold scratch material that starts to disappear first has the lower karat value. Any gold that is less than 18 karat will disappear in less than 30 seconds of exposure to the acid. And any gold that remains on the stone after those first 30 seconds is 18 karat or higher. Follow this link to learn How To Test Gold by a Specific Karat Value. You may need to resort to destructive or invasive gold testing if you are faced with a situation where it is imperative you know the exact karat value of the metal or if you are faced with rhodium plated white gold or gold filled items that you cannot get an accurate reading from any other way. This being said, it is important that you try to limit destructive testing as much as possible to items that either have little aesthetic value, or it can be easily repaired. And you should always be sure to ask for your customer’s permission before performing a destructive test on one of their items. In destructive testing you generally begin your investigation with the notion that the item is lower karat than what it is testing as or may have little or no precious metal content at all. Therefore, all of the following destructive gold test articles start at the lower end of the testing spectrum: 10 karat testing. This method of testing involves you applying acid to a deep cut in the metal of the unknown piece you suspect of being 10 karat gold or less. Instead of rubbing the metal against your testing stone, you will file away a part of the surface metal and drop the acid directly on the piece itself. Remember, you can only really rely on this test after you have tried the basic steak method above and the streak faded almost completely with the application of acid. To learn How To Perform a Direct Gold Acid Test, check out this article. This method of testing involves you opening up the unknown gold piece, taking metal shavings from the inside and applying acid directly to them when you suspect that the metal is 10 karat gold or less. Remember, you can only really rely on this test after you have tried the basic steak method covered above and the streak faded almost completely with the application of acid. To learn How To Test Gold Metal Shavings, follow this link. For this method of testing gold that you suspect of being 10 karat value gold or less, you will test it much the same way you test gold non-destructively with the scratch test. The only difference is that you will first cut the metal of the unknown gold piece and open it so you can scratch the metal inside the piece against the testing stone instead of the surface metal. Remember, you should only use this test if you are unsure of the results you got from the basic streak test initially or suspect the metal is 10 karat gold or less because the streak faded but not completely with the application of acid. Learn How To Perform an Inside Gold Metal Scratch Test here. When you want to test white gold, you can test it in two ways, non-destructively and destructively. Since most white gold is plated either with rhodium or a nickel based alloy, they will react differently than traditional gold and other metals. In some situations you can test white gold non-destructively and we will start by discussing that method. However, if you fail to get accurate results testing in this manner, you will have to resort to destructive testing whenever it is possible. Much like the basic yellow gold streak test, with the white gold streak test you will rub the unknown metal against the testing stone and then apply acid to the stone to see how it reacts. The two major differences is that you will not have a white gold needle streak to compare the unknown metal’s reaction to, and that since most white gold has some plating to enhance the silver tones of the metal you may not get an accurate result right away with this method. 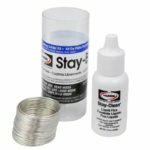 Learn How To Perform a Basic White Gold Streak Test here. If you are not getting results you trust from a streak test for your white gold, or maybe the metal was attracted to the magnet but you are sure that it is actually gold. Since most white gold is rhodium plated which tends to be partially magnetic, you may need to perform a more destructive test to get an accurate reading for the metal’s karat value. To get under any rhodium or other plating that gives the metal its white color you will need to cut deeply into the item to get to the base metal you need to test. To learn How To Test White Gold Directly with Acid here. You can test items that you suspect to be gold filled in much the same way that you would test any other type of gold using the streak testing method. The biggest thing that you want to be on the look out for is for a fading or disappearing golden shine as you make streaks on the testing stone. You can learn How to Test Gold Filled Metal by checking out this article. Gold isn’t the only metal you might find yourself in a position to buy. You may find yourself confronted with people wanting to sell metal they claim is platinum. Use the following guide to learn the ins and outs of testing this rare and precious metal. When you are testing for platinum, you will approach the process in much the same way you would with testing gold: you’ll use the testing stone again and use acid to determine the metal content of the piece you are testing. Learn How To Test Platinum by following this link. Gold isn’t the only metal you might find yourself in a position to buy. You may find yourself confronted with people wanting to sell metal they believe is palladium. Use the following guide to learn the ins and outs of testing this rare and precious metal. Like platinum, palladium is another high quality white colored precious metal used for jewelry. If someone brings in some metal to sell and calls it palladium, you can test it in much the same way you would test gold to be sure that it is what they claim it is before buying it. Learn How To Test Palladium with this article. You will probably not encounter as many opportunities to test silver as you will to test gold, but it is still a useful thing to be aware of if you plan on buying metal. Much like gold testing, you can test silver non-destructively or destructively if you have no other options. You can follow the links below to find how to test silver to ensure you are paying for what you are actually getting. Compared to gold testing, silver testing is very simple and straight forward. In this test, you will use a testing stone to test the surface silver content of an item. This test will give you a loose idea of whether or not the item you are testing is actually silver, but it will not be able to tell you if the silver content you tested is just a thick plating on the metal or the real thing. Learn How To Test Silver with a Basic Streak Test by checking out this article. You may need to resort to destructive or invasive silver testing if you are faced with a situation where it is imperative you know the exact value of the metal or if you cannot get an accurate reading from any other way. This being said, it is important that you try to limit destructive testing as much as possible to items that either have little aesthetic value, or it can be easily repaired. And you should always be sure to ask for your customer’s permission before performing a destructive test on one of their items. This method of testing involves you applying acid to a small cut in the metal of the unknown piece you suspect of being silver. You will test the metal you suspect of being silver by placing the acid directly on the metal; however this will dull the polishing and finish of the silver item and leave a mark where you test it since we also have to file a little into the metal. Therefore, we recommend that you test a very small portion of the silver on the back of the piece or some other inconspicuous place, or on a piece that has no aesthetic value or will be scrapped anyway. And always be sure to ask your customer’s permission before performing a destructive test on their valuables. Learn How To Test Silver Directly with Acid by following these simple steps. This method of testing involves you opening up the unknown silver piece, taking metal shavings from the inside and applying acid directly to them when you suspect that the metal is not exactly the value of silver the non-destructive method suggests. Remember, try limiting destructive testing as much as possible to items that either have little aesthetic value, or it can be easily repaired. And always be sure to ask your customer’s permission before performing a destructive test on their valuables. Learn How To Test Silver Metal Shavings by checking out this link. For this method of testing silver that you suspect of being plated or of a different value than your initial tests suggested, you will test it much the same way you test the silver non-destructively with the scratch test. The only difference is that you will cut the metal of the unknown silver piece and open it so you can scratch the metal from the inside of the piece against the testing stone instead of the surface metal. Remember, you should only use this test if you are unsure of the results you got from the basic streak test initially or suspect the metal is not actually silver. And always be sure to ask your customer’s permission before performing a destructive test on their valuables. Learn How to Test Silver with a Inner Metal Streak Test here. I have several gold necklaces that are marked as 24 Karat Gold. I need to compute the actual gold content to accurately value of the jewelry. I thought that simple tests of weight and volume could validate the amount of gold and its density. Is a set of procedures available for properly computing density from weight & volume? I have verified my mailing address. Weight is all that is needed (if its actually 24K gold). 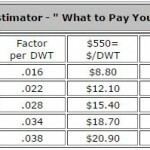 Calculations are not an accurate way to determine gold content (volume and weight) You need to have proper equipment to validate gold content. Learn a lot from your post. And I would like to share some Flammability Tester to you, which may help you a lot.